The Hawkins Project makes grants to preselected organizations whose values and purpose match our own. the hawkins project was founded in 2017. The Hawkins Project, founded by Dave Eggers and Amanda Uhle, creates and funds courageous literary, visual, public, and other creative works with a special emphasis on supporting youth writing centers around the world. 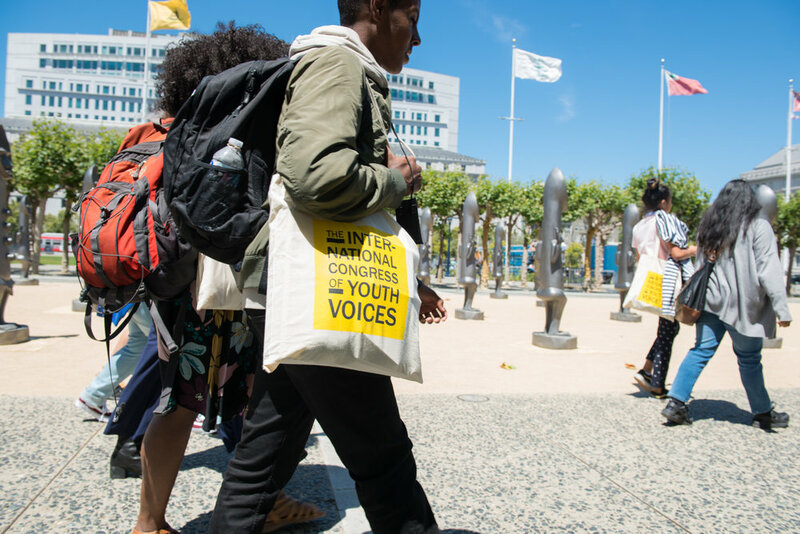 In 2018, The Hawkins Project presented the inaugural International Congress of Youth Voices, a gathering of 100 extraordinary young writers and activists. Their landmark meeting in San Francisco (August 3 to 5, 2018) resulted in a student-written manifesto, published by The Guardian. Another of our signature projects is The Spirit of the Animals is in the Wheels, by Dave Eggers and Juan Martinez. Learn more. To learn more about our work and to support it, please contact Amanda Uhle, CEO. Support our work by making a contribution here. If you would like to mail a check or if you have any questions, please email: Amanda@thehawkinsproject.org.